One of the many, many things I love about Chicago is the abundance of public art. It's on display throughout the city in the parks, in lobbies and even incorporated in the architecture. And you know me, I'm a sucker for public art of all kinds. Another thing I'm enjoying about our time here is all the fantastic people I'm getting a chance to meet. Thanks to a sweet friend back in Chattanooga who connected us, over the past few months I've gotten to know Jen Lavender-Thompson. In addition to being a world class hostess and all around enjoyable gal, Jen is also the founder of Art. Advise. Collect. 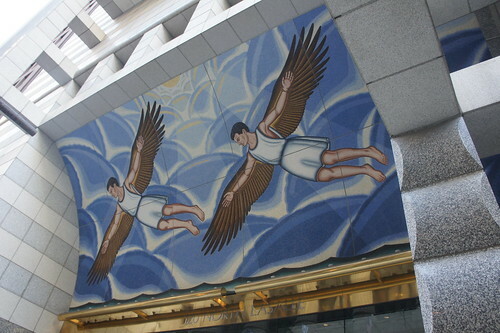 Over lunch last week she asked me if I might be interested in doing a bit of research on Roger Brown's mosaic The Flight of Daedalus and Icarus. Never one to pass up a chance to learn more about what makes Chicago great, I agreed. Today Jen has graciously published my findings on her blog Art. Advise. Collect. Are you curious about the mosaic, Roger Brown or the Chicago Imagist movement? Well then, you should definitely stop by her blog right away! 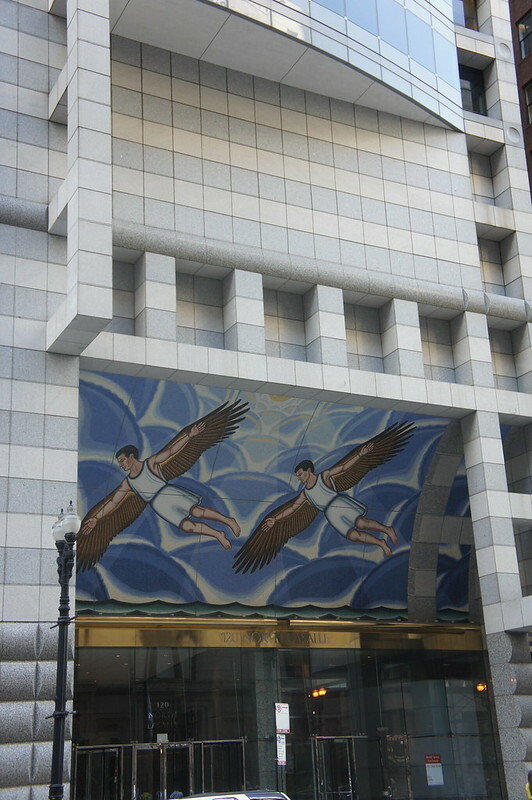 What's your favorite piece of public art in Chicago or your hometown?